A sample of our remote destination projects for around the world: Afghanistan, Somalia, Nepal, Iraq, and Somalia. We trend to the edge of the world on our missions, to the ends of the earth. 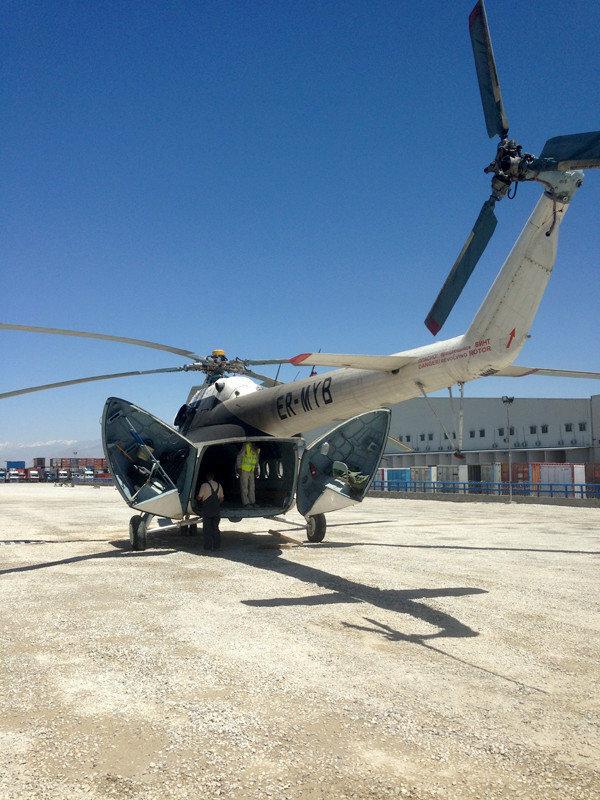 ProCharter was contracted to manage a considerable air operation at two military bases in Afghanistan, which involved a mixture of helicopter (MI-8) and fixed wing ramp aircraft (IL76, AN32, AN74, AN12). 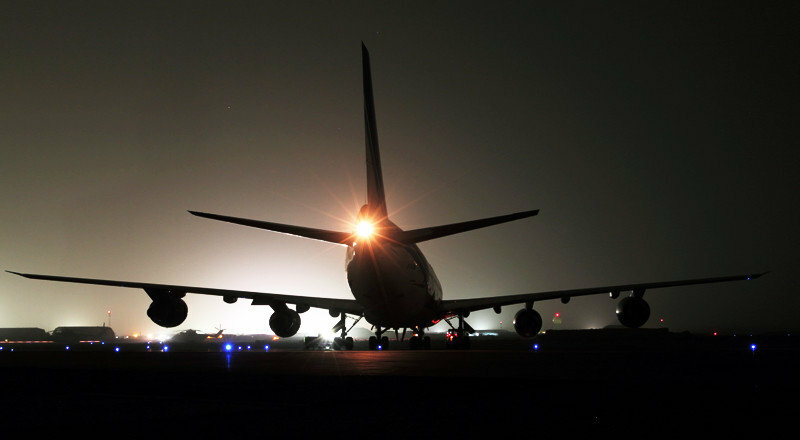 The initial focus was to quickly identify the most efficient and cost effective aircraft available in the region, and educating the local staff in maximising the aircraft utilization, through effective load planning. These initiatives resulted in significant reduced per kilogram costs and financial savings. ProCharter mobilised high calibre staff to both locations within 48 hours of request. 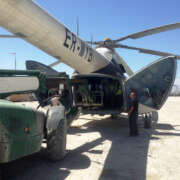 These personnel, with extensive experience on many aircraft types, in several remote and challenging locations throughout Afghanistan and Africa, were deployed to initiate and oversee the project. The intensity of this project was immense, and put our staff under huge pressure at times. But their experience, qualities and professionalism allowed them to maintain the operational tempo, without compromise, or complaint from our client and the end user. Installing our own aviation software system (PAS) was instrumental in the project, with the many functions it offers: flight statistics, document archiving, financial and operational reporting, flight scheduling, remote access by HQ’s, movement messaging and reconciliation. 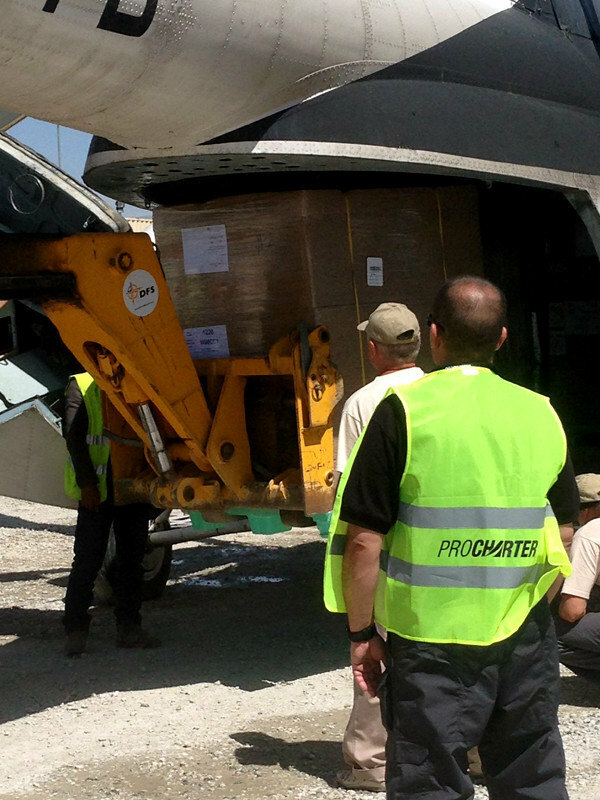 “ProCharter received a request to move a shipment of portable fuel bladders from a manufacturer in USA to their client in Somalia. This was time critical and out size cargo, which was expected to attract significant penalties for late arrival. ProCharter put together a multi-modal transport solution, which would meet the timelines, and also greatly reduce the original anticipated costs. It soon became obvious that to make this work, and avoid any delays, problems or spiralling costs, our team would need to closely manage the whole process, including positioning staff at key points. 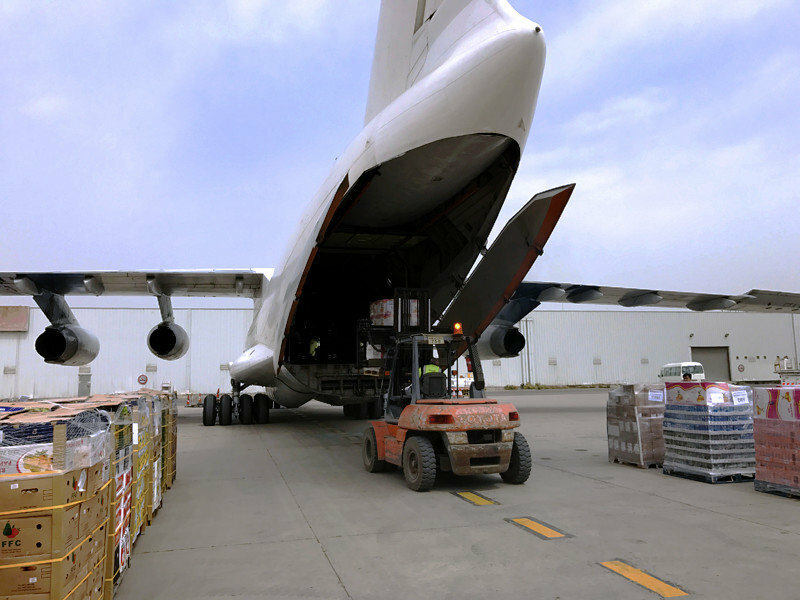 The cargo was collected by truck from the manufacturer and delivered to Chicago airport. 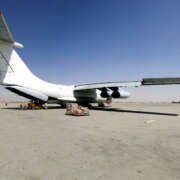 From here it was palletised and moved on a commercial schedule service to Dubai World Central (DWC). 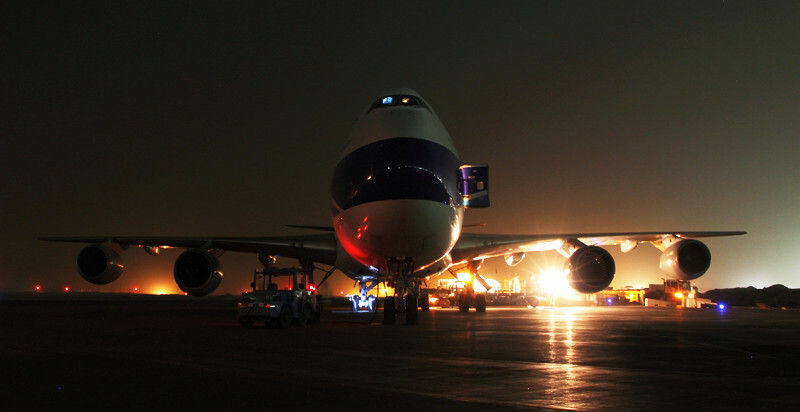 Our UAE freight expert was dispatched to DWC airport, to ensure the shipment’s paperwork was processed, transit paperwork prepared and other formalities completed. 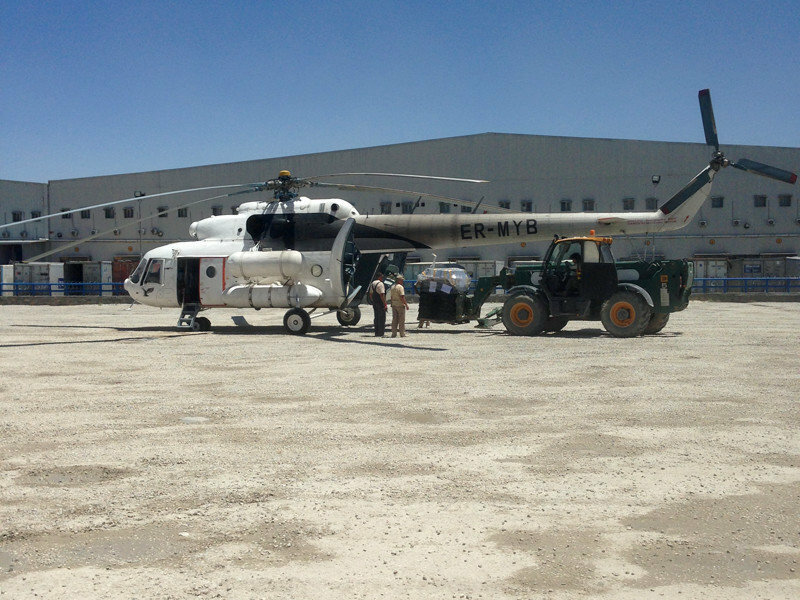 Once this was in hand, the arrangements to move the cargo to Jebel Ali Port to meet the required sailing were made. An uneventful journey to Mombassa allowed our team some time to plan for the vessel transfer, and the next sailing along the coast to Mogadishu. 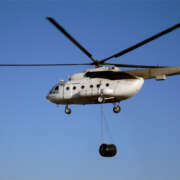 The cargo was transferred to a local dhow vessel at Mombassa, under the supervision of a ProCharter operations manager. Client was kept updated throughout the transit period. From here the vessel sailed to Mogadishu, where our team were also waiting. 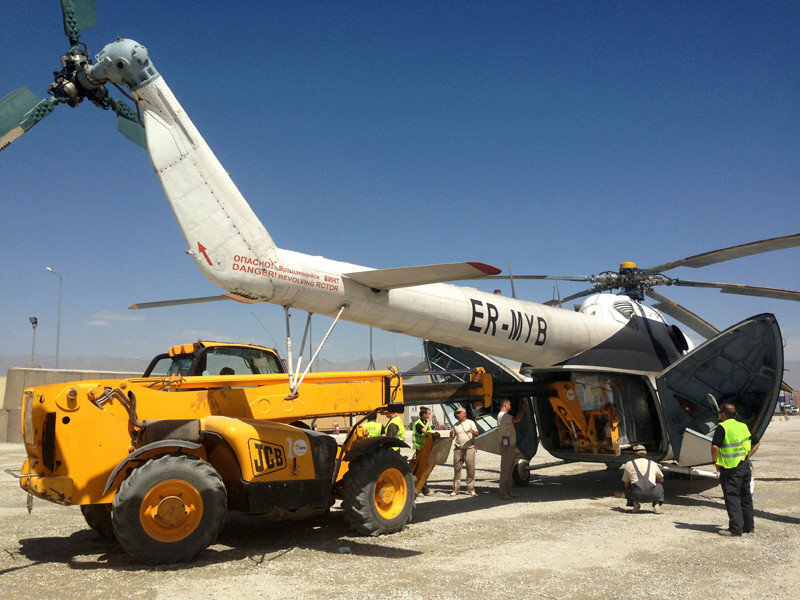 Our manager was on hand to liaise with all parties, and supervise the release and transfer on to the trucks, for the last stage of the journey. 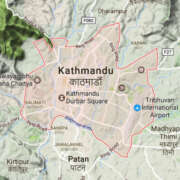 ProCharter received a request from to mobilise and position an Operations Manager to Kathmandu, to represent several operators, in response to the Humanitarian Disaster. The most suitable and available staff member was identified, briefed, and mobilised within a matter of hours, and arrived in Dubai for final briefings, personal administration and preparation. A variety of aircraft types was anticipated, and it was clear from the outset that there would be many challenges to overcome; runway restrictions, aircraft landing weight limitations, likelihood of further tremors, accommodation availability, ability to clear cargo from ramp efficiently, and the intense international response with relief flights. 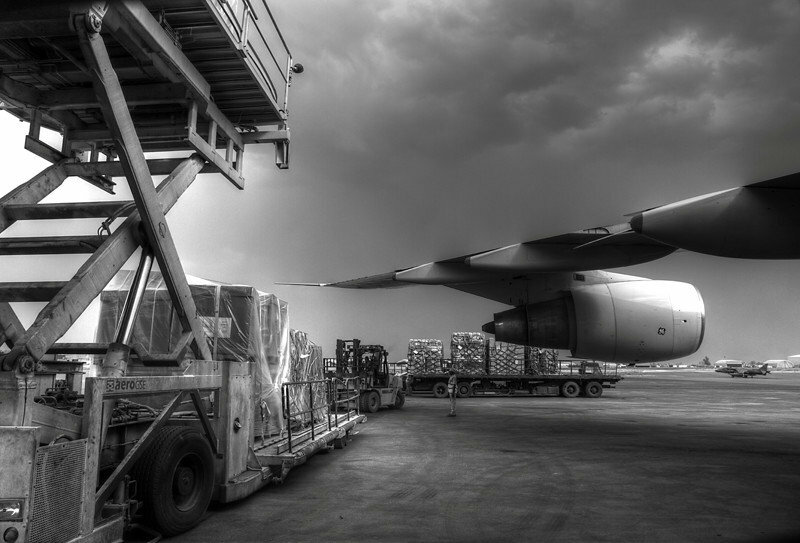 Detailed load planning, cargo preparation and documentation, and cargo handling and loading supervision was part of our responsibilities in Dubai. 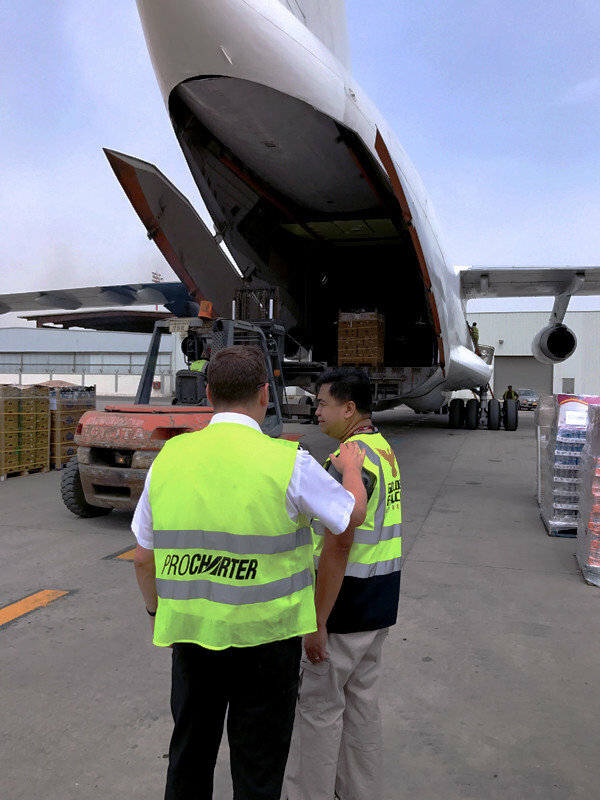 ProCharter arranged for their Operations Manager to fly on one of the first cargo charter flights, and he immediately got to work on arrival, offloading the aircraft with local staff, and assisting to clear the cargo as quickly as possible. He continued this for almost 24 hours, before a temporary lull in the operation allowed some much-needed rest. Liaising with other International Aid Agencies and volunteers as quickly as possible, was essential, and attendance at the LogCluster meetings was vital. This was the start of a long and challenging period, and the intensity was sustained for several weeks. Fortunately, the operation began to follow structure and routines, allowing for a much more efficient and effective process. Our Ops Manager also experienced the second earthquake while in the hotel, requiring immediate evacuation from the building. This sent a clear message to the watching world that Kathmandu was in constant danger, as well as the staff working there. 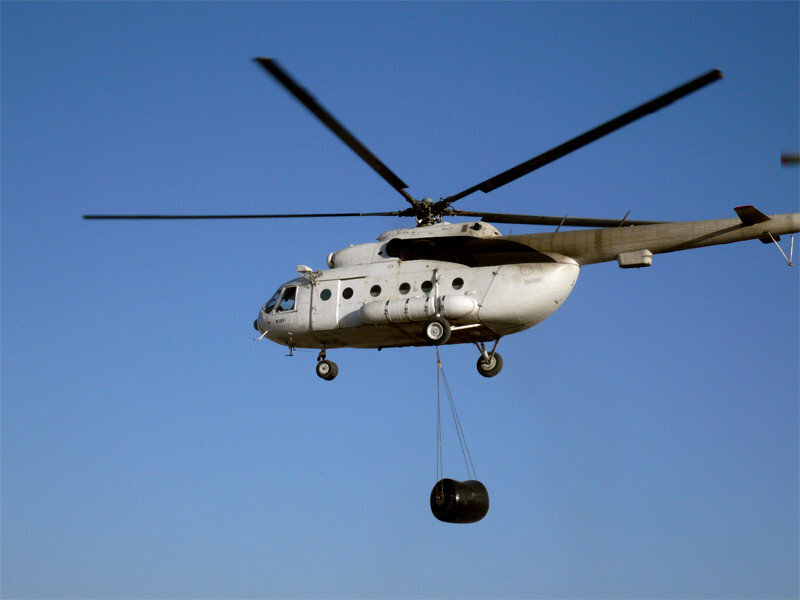 ProCharter also received requests for helicopter support, and our team identified two Mi8-MTV’s available for immediate deployment by IL76 from Moldova. 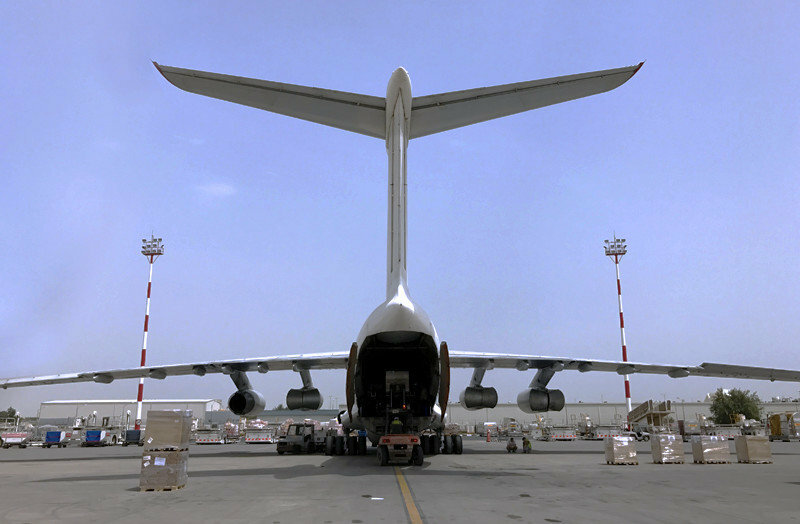 At the same time, ProCharter was working on a contingency operation for an International Government Agency, to stand up and manage a hub and spoke operation from Lucknow in India, to receive wide bodied cargo aircraft, and transfer the loads to smaller IL76 ramp aircraft, to fly into Kathmandu. If this contingency plan was to be activated, ProCharter would have needed to deploy managers to Delhi and Lucknow, and additional support to Kathmandu. We put several staff on 72 hours’ notice to move. 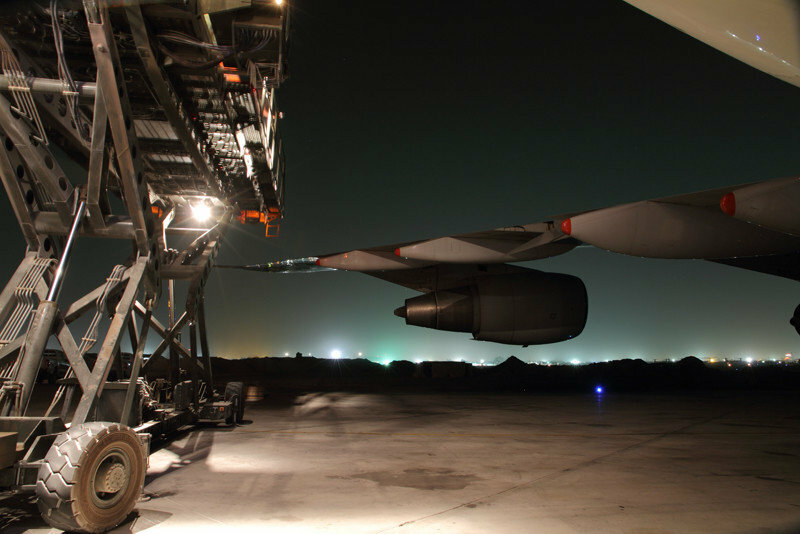 “Procharter was asked to set up and run a new airbridge into Iraq from a neighbouring country. Initiating a project like this takes a lot of planning, and thorough communications with military staff in Iraq, as well as all stakeholders. On receiving the task order, we immediately mobilised two of are our most experienced operations managers, and they were operational within a few days. The swift flight, aircraft and load planning allowed the first flight to operate within a few days of our arrival, much to the delight of the end customer. 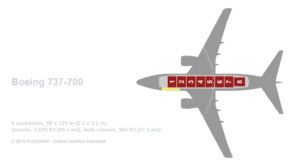 The volumes and payloads varied from flight to flight, so it is essential to plan the loads effectively, to maximise the aircraft utilisation. 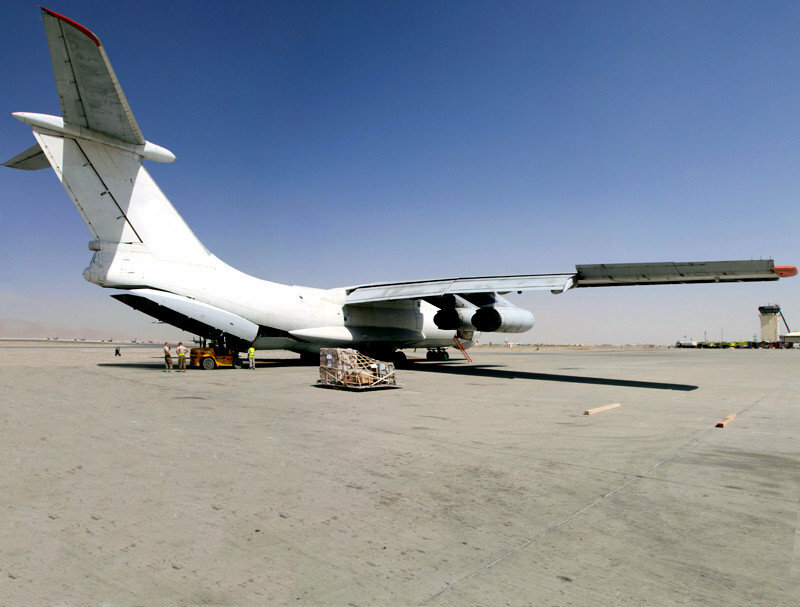 This was a joint project, to source, contract and manage a cargo aircraft, to be based in Djibouti. Suitable aircraft available in the region were identified as the Fokker 27 (F27) and AN26. 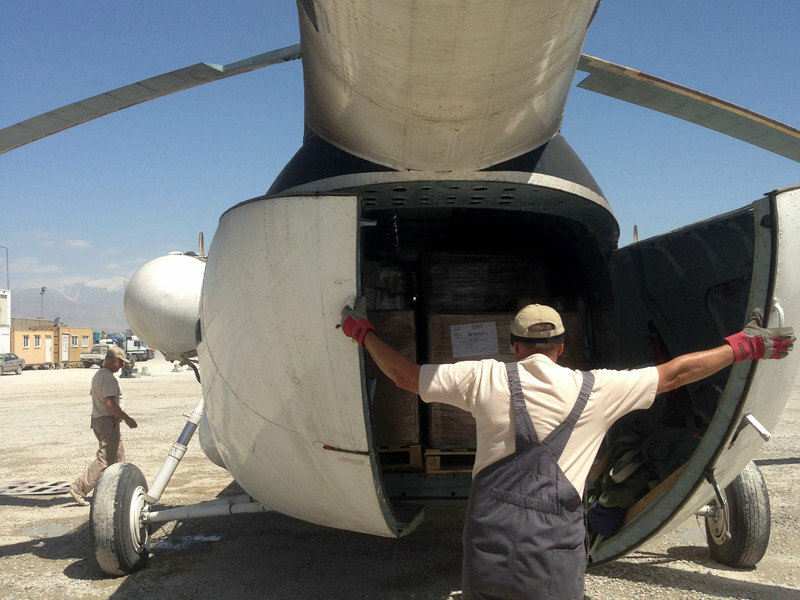 Although the payloads are similar, the F27 has a side loading door, and the AN26 is ramp loading. 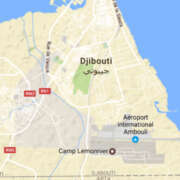 The F27 was positioned into Djibouti and our operations manager, was deployed at short notice. 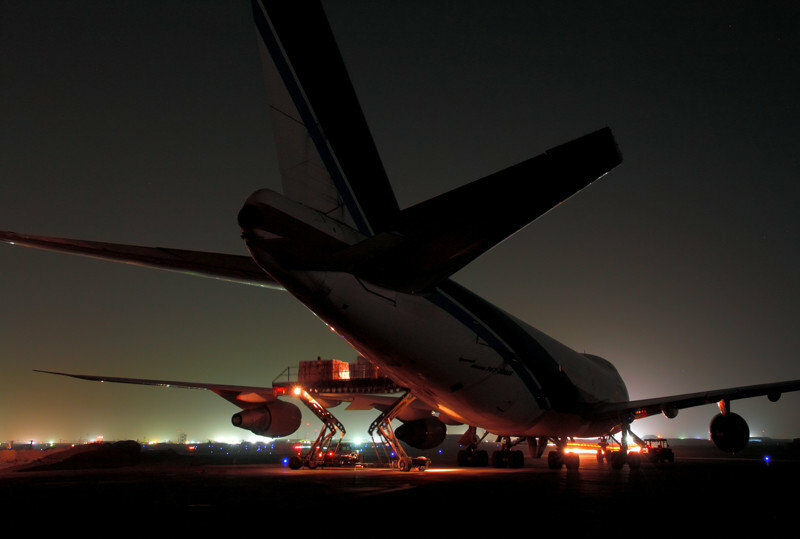 Within a few days of the aircraft arrival, the first cargo flight was planned for a return flight to Mogadishu. 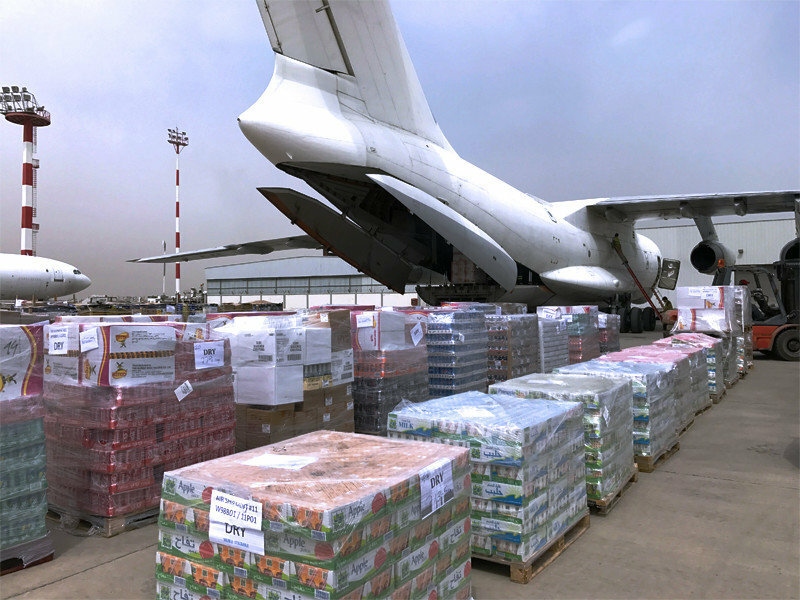 This was the first of many flights throughout the region, including to Yemen. As a backup, the AN26 was used several times, and the flights operated in reverse from its base in Mogadishu. 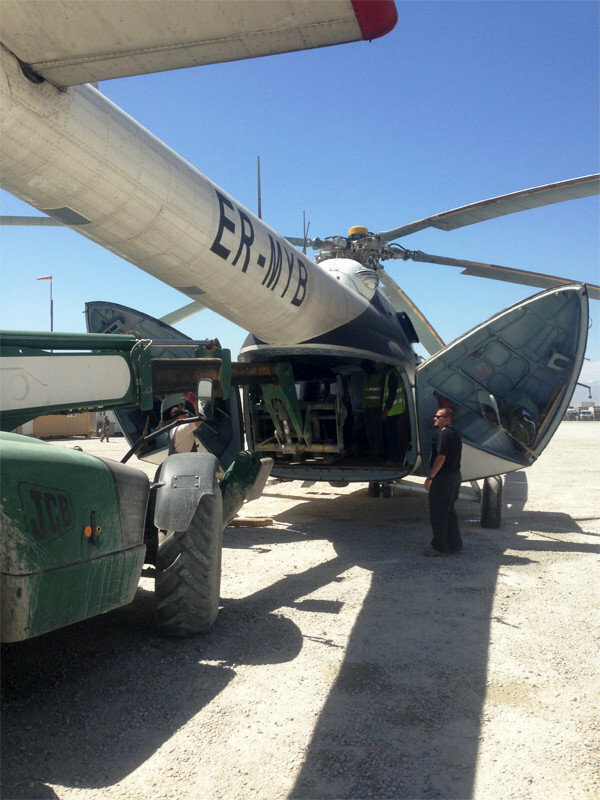 To maximise the aircraft capacity and utilisation, thorough load planning was carried out, working alongside several partners in the region. This project lasted 4 months. 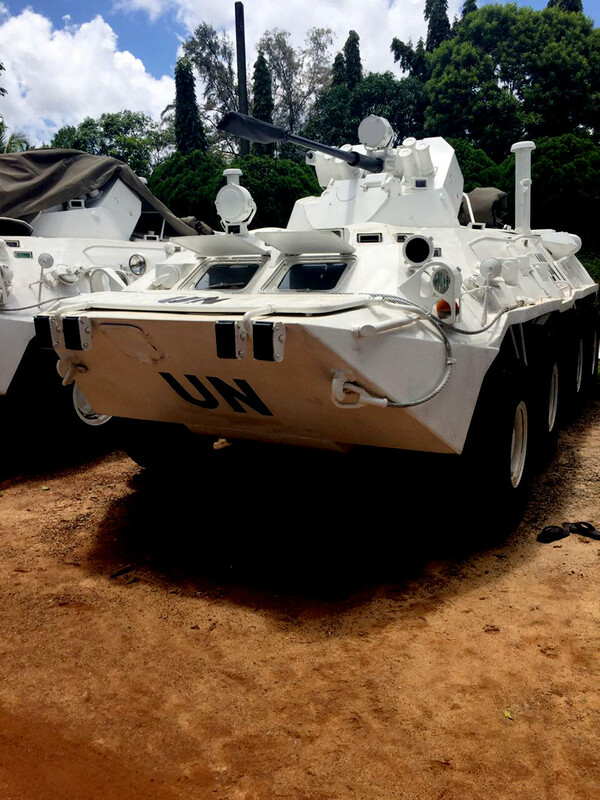 ProCharter deployed a logistics team to Sri Lanka at the request of the United Nations MINUSMA mission to assist the Sri Lankan army with their deployment to Mali. 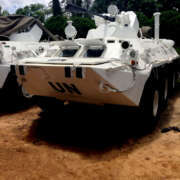 “On arrival, our team engaged with the army logisticians as well as the local shipping agents. 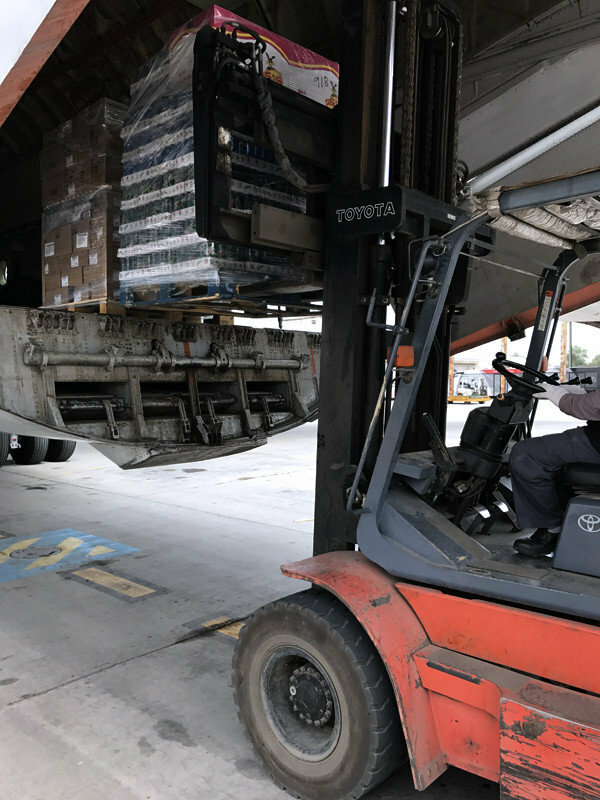 Large deployments like this involve a lot of careful planning and management, and we were able to quickly devise a plan to enable efficient loading and documentation of all vehicles and containers, including the handling of a significant amount of Dangerous Goods “, said Procharter Director Steve Day. 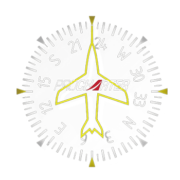 We are extremely grateful for the support from Procharter, their experience of these types of operations was clear to see, and the expert guidance and training provided to our teams was welcomed and appreciated by all. General Information: The United Nations Multidimensional Integrated Stabilization Mission in Mali (MINUSMA) was established by Security Council resolution 2100 of 25 April 2013 to support political processes in that country and carry out a number of security-related tasks. The Mission was asked to support the transitional authorities of Mali in the stabilization of the country and implementation of the transitional roadmap.